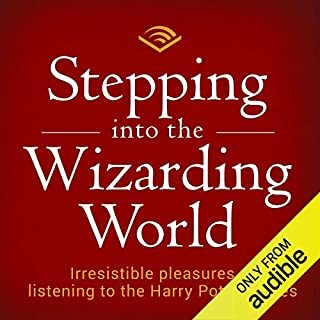 Listen in on a lively conversation between lifelong Harry Potter fan Katie O’Connor and newbie Courtney Reimer as Katie lays the groundwork for the fantastic listening journey that lies ahead. Topics include the series’ characters, the Hogwarts houses, the rules of magic, and the enduring relevance of J. K. Rowling’s stories. This promises no spoilers. But there is an error with a Book 3 spoiler. So if that matters to you, I recommend caution. But it's a wonderful conversation. Documemtaries need not be thrill rides. They tell a story about which the reader is interested. A book of historical fiction is based in fact, but is fiction. As a result (at least for a spy novel) it should have its thrills. This is perhaps in between. If it were all fact, I would rate it higher. But it is a bit slow for a fictional novel in this genre. I have a very high standard for stand-up comedy. There are very few that can hold my attention. Eddie Izzard is one of them. So many of these autobiographies are guilty pleasures as people want to feel like they personally know their icons. That is why I got this book. But it is so much more. We see a successful performer, but the grit it apparently took to get there is remarkable. Where fans see his transvesticism as a part of him rather than part of an act, it was a major hurdle for him as he worked to break into the performance scene. It took tremendous grit and resilience for Eddie to get from where he was to where he is. And this book is -- I think quite accidentally -- full of tremendous advice and demonstration on how to manage trials and failures in life. Because of that it does not follow the self-help style books of lesson and demonstration. My one warning is that the extensive tangents into footnotes can be annoying at first. But I did become accustomed to them and began to find a lot of meat in them as well. 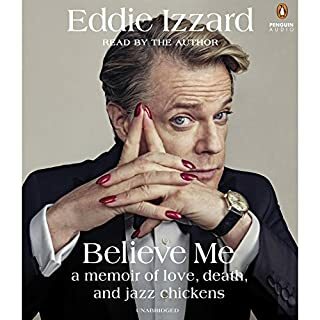 If you like Eddie Izzard there is no need to hesitate on this one. 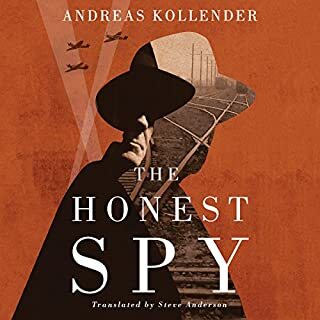 This is a fictional story set in the misinformation effort aimed at persuading the Germans that the D-Day Invasion would come at the Pas De Calais rather than Normandy. I recommend reading Normandy by the same author first. Normandy is an essay describing the differences between the American and British strengths leading up to the invasion of Fortress Europe. The Americans had the brute strength, but the British had developed much in the way of espionage and misinformation tactics. Normandy is an extremely readable/easy listen, and it is aimed at preparing for this book. With that background, come to The Best of Our Spies. The story here is very inventive. The British discover a female German spy and learn her mission: She is a nurse in a regular hospital who is hoping to find her way into a military hospital and gather secrets to pass to the Germans. She is placed in Britain early in the war, but is essentially a sleeper agent until the British discovery her. They then "assist" her mission. They promote her to a military hospital. They lead her to the patient records which provide military secrets. They also mislead one of their own naval officers to believe that he is working on the Pas De Calais invasion in secret. Of course he falls in love with the spy (which was intended) and marries her. Now, without knowing it, he is passing vital "mis-information" to her. None of this is a spoiler as the book is up front with it, but the story is engrossing. The story continues by drawing his spy-wife into the intelligence effort and placing her in the Pas De Calais in preparation for the invasion. Our protagonist then goes looking for his wife. Five stars for the story. Five stars for the narration. I am only disappointed in a quirk in the end. Some may say that any story like this needs some tragic aspects. But since its a fictional story, I think it could have had a completely happy ending.. The epilogue is also very satisfying. 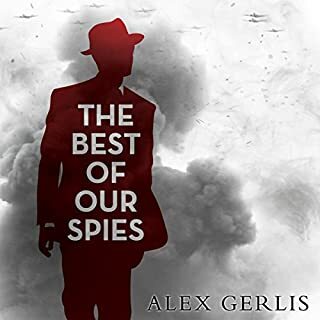 I enjoy WWII spy novels, but I have some pretty high standards and a lot of them just stretch credibility. Suddenly, my standards have changed. This is a mostly true story (it sounds like the author took some literary license, but the characters and plot are actual events.) If it were not a true story, I would have said that it stretched credibility. Pino Lella is a 17 year old boy in Milan. When Allied bombing starts in the area, he goes to a boys school in the mountains to the North. There he becomes a guide to assist Jews in escaping to Switzerland. The character development in the first part of the story is excellent, and you do not even notice it happening. While the listener/reader is enjoying a good story, Pino is developing James Bond like skills that you would not expect him to ever use. The second part of the story finds Pino joining the German army so as to select his assignment rather than being drafted and sent to the front lines. But his skills land him a job as a driver for one of the highest ranking Nazis in Italy. Its an opportunity to become a spy for the Allies. As this part of the story progresses, Pino uses those skills he learned in the first part and finds a reservoir of strength that I cannot comprehend. This is a very fast paced and engrossing story. The last part of the story covers the Nazi retreat and Allied liberation, the resultant partisan celebrations and vengeance, and what feels like the climax. Pino has to deal with the responses that people have to their perception that he was a collaborator. He both celebrates the ejection of the Nazis and hides from the stain they have put upon him. It brings the war and the love story to a close and pulls at emotions. It resolves thread after thread as the inhabitants of the area deal with the dead. As the climax appears to pass and the tension deflates, Pino is sent on another hair raising mission which shocks him. He now gets answers to many of his questions, but answers lead to more questions. The author also provides an epilogue to cover the aftermath so that the reader is not left wondering what happened. Since it is a true story, there are actual answers. I thought that was extremely satisfying. The narration is very well done. The fact that there are different languages involved is a part of the story, but they are done by explanation and the language is clear. My seven year old loved this story. He is particularly sensitive to scary stories and this did not bother him. The story centers around a 12 year old boy who is getting on a colony ship with 20,000 people. Everyone is going into stasis for the 105 year trip to a new world. Twenty-eight days in, just as the ship is getting to the edge of the solar system and preparing to jump to super speed, his pod malfunctions and he gets out and starts exploring the ship. He befriends the ships AI Navigation computer who teaches him about the ship. Then a family of "pirates" comes aboard and it is up to the boy to keep them from stealing the ship. He uses his imagination and all the things he learned exploring the ship to accomplish that goal. The early part of the story does a good job setting the scenes. The sibbling tiffs are very realistic, and they build enough of the main character's personality to make the story flow. The setting is also built well explaining the ship's mission and creating enthusiasm without dragging -- particularly since it has to respect a child's patience (or lack thereof). This is clearly a children's story, but without some Sci-fi background there is a lot to learn both in terms of physics (e.g. how things work in zero gravity and freeze dried food) as well as vocabulary. I had to explain a lot of words: docking, fore, aft, stasis. pod, self-sealing bolt, colony, stun-gun, AI, navigation, and cargo-bay to name a few. It was hard for me to tell how much he was able to absorb and hence my four star rating given that this was billed as (and really is) a children's story. Still, as I said he loved it and he kept talking about it after we finished. The performance was excellent with a large cast covering a number of different voices. The narration also did a good job maintaining a positive aura even when the story got tense. This was good for a more sensitive kid. Overall it is a good story, not too long, and well liked by my kid. I recommend it, but warn that some explanation may be necessary, particularly of your child has not been watching Sci-fi on television. Four stars. This is the quality of the old John Grisham. It reminds me of A Time To Kill, but the characters are more likable, it designed with plot twists in the substories which you don't expect to be there, a tremendous opening statement, and very well written to boot. Defense attorney Joe Dillard keeps getting appointed to horrendous unsinkable cases by judges who despise him. All he wants is an innocent client. But what is he going to do when he gets one and the prosecution and police are willing to break all the rules.? Meanwhile his family is threatened, his sister is in jail. and he has to face his own demons. The character development -- for several characters -- is terrific, and you can connect with them. 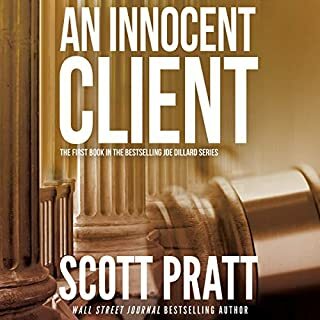 Pratt has created a central character you will want to follow through the series. I look forward to the next book. Thus gets five stats only because I can't give it more. This is more legal thriller, than Grisham, Ian's Margolin, but if you like those, this is for you. We generally think of fantasy, particularly epic fantasy, as involving wizards and magic. You will find none of that here (though there are some "fantastic" animals, and possibly reference to something we might see in future volumes). But this is clearly an epic fantasy in a pre-industrial world and a very good one at that. This really is its own story and not directly comparable to anything else, but I will say that it is more Brooks than Goodkind, more Eddings than Tolkien. The story follows Aeden, a late teen boy who has been abused by his father. He is smart, loyal, and generally courageous, except when faced with a bully who attacks him in such a way that he feels like he is facing his father again. After slavers kidnap a girl who holds his loyalty, he sets the goal of his life to destroy them. 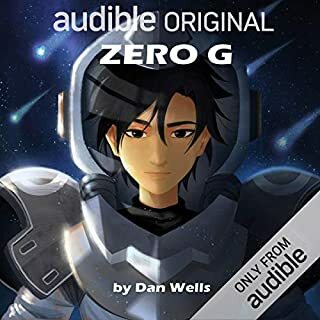 This summary is short on detail to avoid spoilers, but overall this first volume is a good introduction of the main character and developing him to enter upon his quest. Aeden enrolls in a military academy and there is some exploration and discussion of classes in a Harry Potter way, but with far less story and detail. It covers his developing friends and mentors and doing some exploring. He develops some fighting skills and eventually goes on a few military missions which the author uses to demonstrate how Aeden has merged his natural intelligence and strategic thinking with his studies. He also finally deals with some of his demons and takes on portions of the criminal underworld. He also has to deal with the duplicitous nature of the prince. 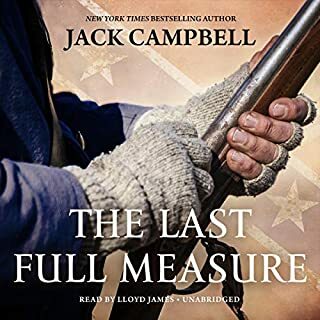 There are a lot of sub/side stories which while perhaps not truly necessary to the over all plot as we can tell from book one, may come into use in later books and certainly make for an enjoyable read/listen. So it's a very good story. The character development, at least of the main character is very good. It is also generally good for secondary characters but weaker for tertiary characters and antagonists. The story could use better segues as it moves to different parts. I did find myself backing up several times to figure out how the scene dramatically changed. It was only mildly frustrating and didn't hurt the over all read. I gave it four stars because I couldn't give it four and a half. Its not perfection, but it certainly rises high in my list of fantasy and I read a lot if it. The writing is very good for a first book, but there is definitely room for improvement. 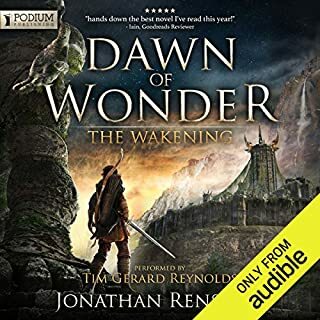 In sum, I liked this very much and am looking forward to the next installment of the story as Aeden prepares to go on his own quest with the few companions he has selected. The possibilities for that story are numerous and I have high expectations. Our world revolves around computers and the internet and is therefore vulnerable in a way that it never was in the past. What if every computer in the country were wiped clean? The country would be shut down. No one would have money (that was all on bank computers), no one would have medical insurance -- but that's okay because no one would have medical records. Our entire infrastructure would topple. It would in a word, be pandemonium. When a computer virus threatens to bring us back to the dark ages, it takes the designers to undo it. But they will only meet with the President, and in secret. An assassin has other ideas. And so begins a thrill ride with the President and a foreign computer hacker running for their lives (with secret service help) and then trying to disarm the virus before Armageddon. Joined by the Isreali and German leaders while the assassin continues her efforts they hide in an unknown house off the grid -- "The President is Missing." There is a subplot with a traitor amongst those highest in our leadership, and partisan bickering to boot. As a story, it is an exciting thriller and a very enjoyable read/listen. This story makes use of the new internet issues developing in the last few years. Interference with elections becomes interference with everything that runs our world, destroying it entirely. Partisan politics has hit new lows. Corruption becomes treason. And the Russians are taking advantage of our own infighting. In the end, there is suddenly a real possibility of what once would have been considered preposterous. Frankly, its a little warning about what could come -- and the final speech and epilogue make clear that this is no coincidence. Dennis Quaid is the lead narrator. I know that some reviews have suggested that he is "gravally". Personally, I think that's intentional -- its the right voice for the main character, President Jonathan Duncan. (I am a Dennis Quaid fan since Dreamscape when I was in high school and he really comes through here.) The only drawback is some difficulty he has with foreign female characters, never quite finding their voices. But that is only a small part as the other narrators cover non- president scenes with equally great performances. 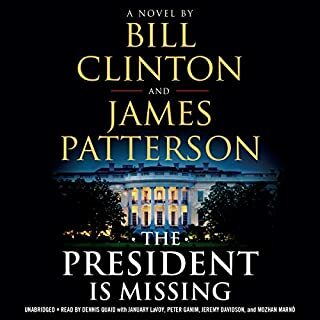 Other reviews have accused Clinton of writing the character he would like to be. That does not seem accurate. This President is a character to itself designed for this story. That he has certain qualities does not make him Bill Clinton's desire for himself. Indeed, he has weaknesses that are not Clinton-like at all. He loses his temper in public and perhaps makes emotional decisions. He is much more like Jed Bartlett meets Lyndon Johnson, complete with a serious physical disease. But there are parts of Clinton there, for example the relationships he had with foreign leaders, particularly with Isreal. And he is facing a politically motivated impeachment from a hostile opposition party -- something only Bill Clinton could understand, and perhaps there is just a touch of venting on that score. But it is not even a subplot so much as a basis for an introduction. It does get stretched into political enemies within his own leadership and leaving questions of who he should be trusting which becomes an excellent plot twist. 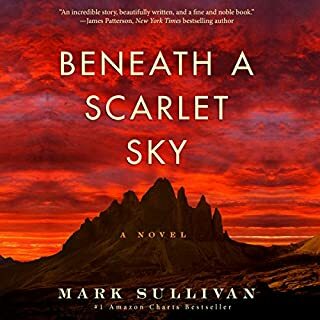 The other major characters, both good and evil, are sufficiently deep to meet the needs of the story, but keep in mind that this is a fast read thriller, not a classic novel. In other words, if you take it for what it is, its a great read and a great story. If you are looking for Tolstoy, look elsewhere. The final speech is revealing of either the real Bill Clinton or the one he has become. This is a president far more liberal in thinking that the Bill Clinton who ran the country in the 90's. He speaks much more strongly of LGBT rights and other freedoms. He hits on a lot of other more liberal minded issues such as education and gun control. Is that because Bill Clinton has changed or is it because he is now in a world that is perhaps more open to these ideas? With all due respect, the epilogue is of the fantastic. It speaks of bi-partisan support for fair political redistricting. Indeed it speaks of a government where politics takes a second seat to patriotism. It simply fails to recognize (or doesn't want to accept) that corporate oligarchy within the economy has forever changed our politics. As I said, its a nice fantasy. But it also serves as Clinton's warning against the current state of partisanship and a prayer for a return to statesmanship and cooperation in politics, something that is of a bygone era. Whether you like Bill Clinton or not, he has experience, insight, and a brilliant mind. He also loves this country and what he thinks it could be. He is the eternal optimist. His detractors will rage against him, but most will still concede that he was a flawed man with great vision and hope even if they do not agree with his ideals. But its time to put that all aside and enjoy a good old fashion thriller. Who cares who wrote it.